Anyone who has inhabited this world long enough to remember Belinda on Play School will by now have come to terms with the fact that owning and running a motor vehicle of any type is expensive. There are certain makes and models that amplify this “cost of living” but that is a conversation for another time. No matter if you are a mortally offended owner of a VW Amarok or a dear old duck with a Hyundai I20 the same basic maintenance costs apply, likewise the tricks you can implement to reduce the running costs of these vehicles are the same. First and the most obvious is fuel. It may feel like it hurts the wallet when filling up, especially if your driving something that was promoted as capable of pulling a Boing 747, but unbeknown to most the more expensive fuel is financially a better choice. 98 octane is a cleaner burn inside the combustion chamber. For most this is technical jargon. Basically this means the more expensive fuel will do less damage a wear on the internals of your engine. This dramatically reduces the need for costly replacement of over priced plastic car parts that need to be shipped in from European cities with eighty five syllables. The most common failure of engine components due to using poor quality fuel is the oxygen sensor. A part that can be up to thousands of dollars depending on make and model. In addition to the reduced engine damage the higher octane fuel actually gives higher milage per tank. So the four dollars and thirty cents you saved by putting ethanol and water in your fuel tank is negated by the fact that you get up to fifty less kilometres out of the same tank. This equation is made worse by the fact that you drove your convertible SAAB with a soft top that won’t close, up to twelve kilometres, past three service stations in order to save twenty cents a litre. This logic is why humans feel the need to place walls between nations. The next is tyre pressures. Keeping your tyre pressures up will save you some serious money. Many of the large SUV type vehicles on the road these days are rolling on wheels that are very large in diameter. Eighteen through to twenty two inch wheels look great however the low profile tyre combined with the weight of the car causes these tyres to wear out very quickly, particularly on the edges. The result is, its not uncommon for these bigger vehicle to chop through a set of tyres in twenty thousand kilometres. This is less of an issue with smaller passenger cars but the same laws apply. Check and adjust them and you could double the life span of your tyres. You can prolong the life of these by checking and adjusting the pressures weekly. All Good mechanics (and most average ones) would offer this service for you for free. Green slip insurance prices do fluctuate dramatically. Do not just pay it when the renewal comes through, even if the insurer was the best price the year before. We advise calling an insurance broker they will always get you the best price very quickly. We advise getting your vehicle wheel aligned once a year. For the same reason as the tyre pressure tip. 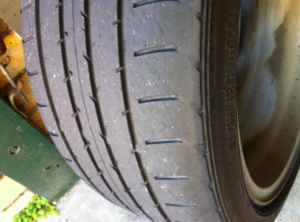 $100 spent every twelve months could see your tyres life span doubled. Make sure you get a tyre shop that does the job properly. The slang term in the industry is “a toe and go” these wheel alignments will cause the car to steer straight but won’t rectify any camber or caster faults and you might as well put you money on Canberra to win the NRL. Again spending money does not feel like saving it, however the long term pay off works in your favour. Throughout the 2018 royal banking commission we saw a large reduction in consumers getting routine services carried out. 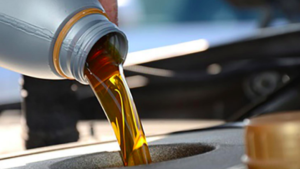 In early 2019 several of those consumers are now getting towed in with vehicles that have had major engine failure due to excessive kilometres driven without frequent oil changes. A few hundred dollars every five to ten thousand kilometres will save you tens of thousands of dollars in replacement engines. Carry out recommended repairs your mechanic advises. The misconception that a mechanic is intentionally ripping people off is something our industry has to battle on a daily basis. In my lifetime within the industry I have never once witnessed anyone intentionally rip a client off. Your mechanic is looking out for your best interests, he is advising you of what you vehicle needs to keep it safe and increase the longevity of it. Trust him and it will save you money.